When you want to get out and about on cold days is there anything worse than cold feet? There are ways of getting around that with self heated socks. Whether you’re a fan of winter sports at extreme temperatures or just have poor blood circulation, wearing a pair of thermal socks are a great way of keeping your toes warm. The feature that really distinguishes these massage socks from other socks are soles that stimulate acupuncture points in the reflex zone of the foot and improve the microcirculation of the foot. Aside from keeping your feet warm, these thermal socks have a therapeutic effect and provide your feet with static massage on the soles, relaxes the muscles and regulates the flow of blood in your body. 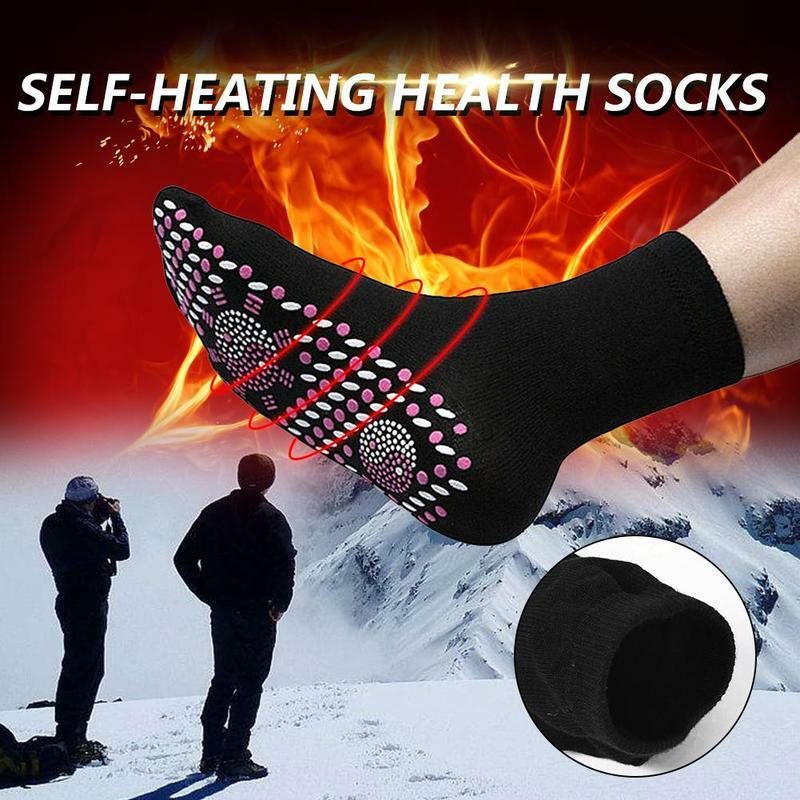 The unique design of these warm socks sends blood away from the heart back to the heart and eliminates fatigue and pain in the feet, so you can be more active during the day! Physiotherapy effects - On hypertension, stomach cold, kidney deficiency, varicose veins, abdominal pain, foot odor, foot sweat, frostbite, foot edema, ankle joint disease, foot vasculitis and so on. Self-heated – No batteries needed, keep the soles of your feet toasty warm. Unique "blood pump" effect - Regulates the blood flow and increases the amount of blood returning to the heart. Versatile - Suitable for active, recreational, outdoor, and indoor use.